DeBary Glen is finally moving........to my house. This was my final year of getting a disability insurance check every month (it ends in August) as I will be turning 66. I can no longer afford to pay the rent where it is currently located so I have had to make some changes. 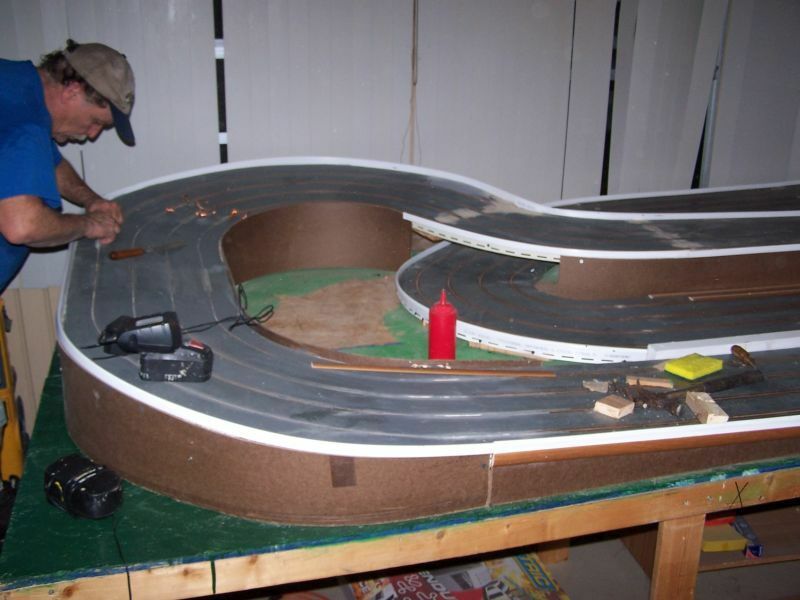 I sold the 65' scaley sport track to a friend in Jacksonville, Fl. where he hopes to have it reassembled and running some time this summer. 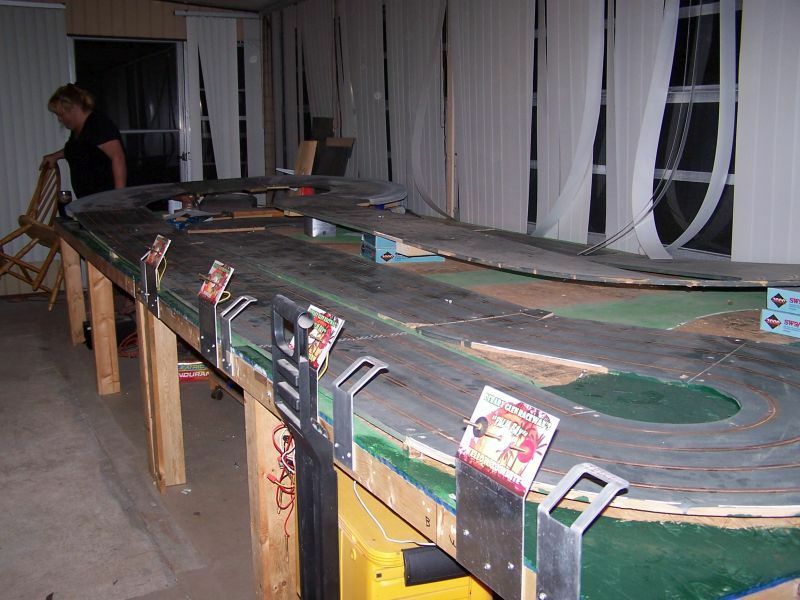 I am having the 65' mdf track disassembled and modified to fit in my Florida room that is adjacent to my mobile home. In the end it will be 16'x6.5' instead of 16'x8' as it is now. 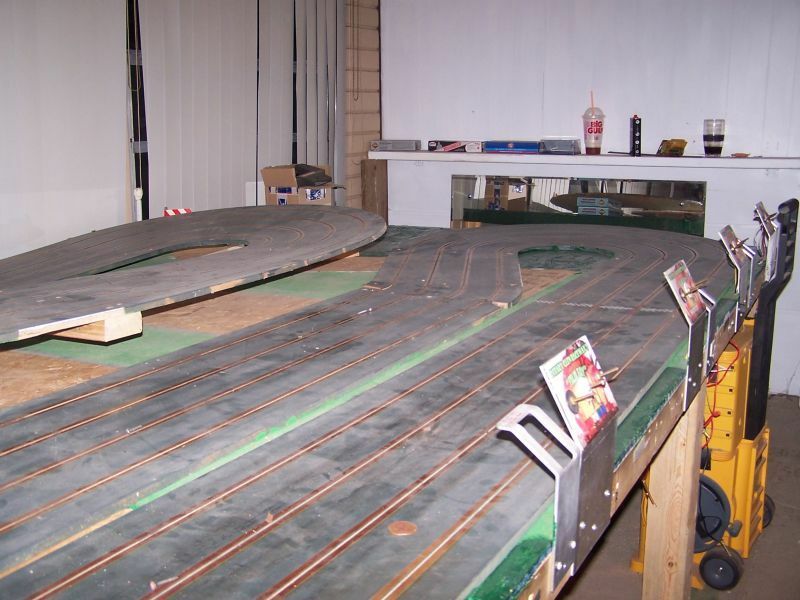 Total track length will be reduced to 55' but basically the same configuration. My Florida room is sealed off from the outside weather and is air conditioned. 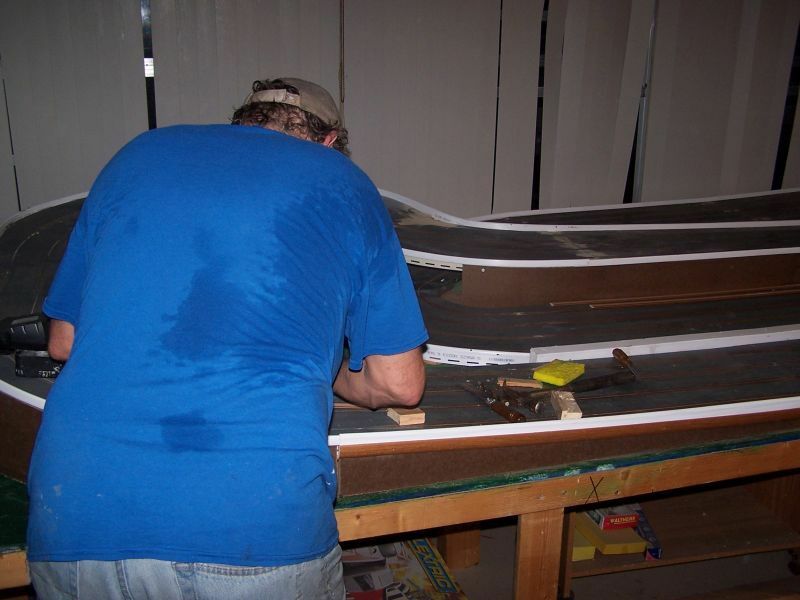 The space will be tighter and my work bench will have to be located elsewhere in the house. 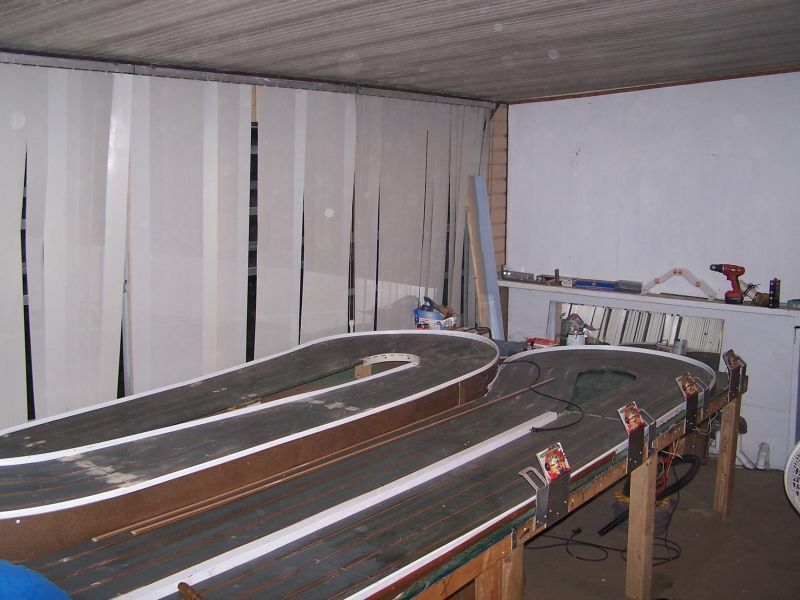 But at least the sand and dust problem will be greatly reduced and I will be able to run some laps whenever I choose. Guests will still be welcome and I hope to get a couple of my neighbors involved. Good news! 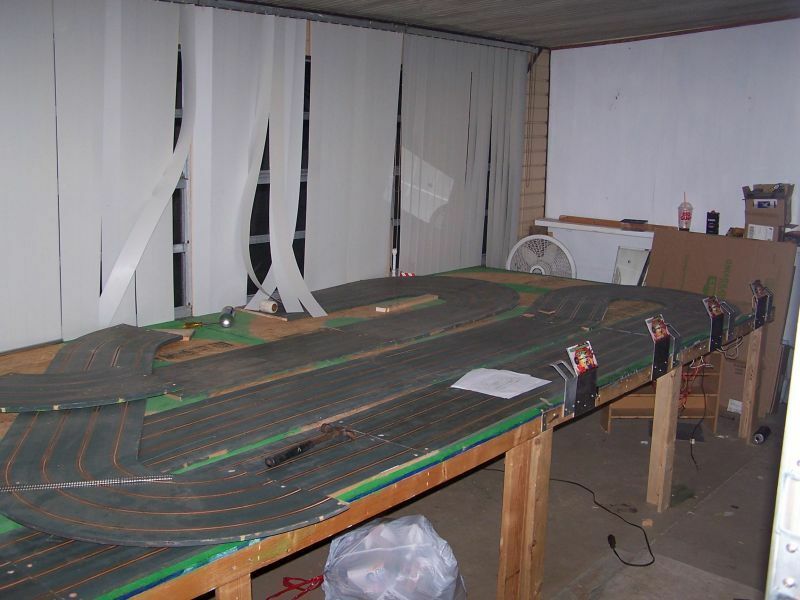 I hate to a fellow hobbyist with out a track. Good luck on the move !! I recall speaking to you on one of my visits to your place about the particle factor. Problem solved. How is Marty doing ? The equipment has been moved and reconstruction will begin very soon. 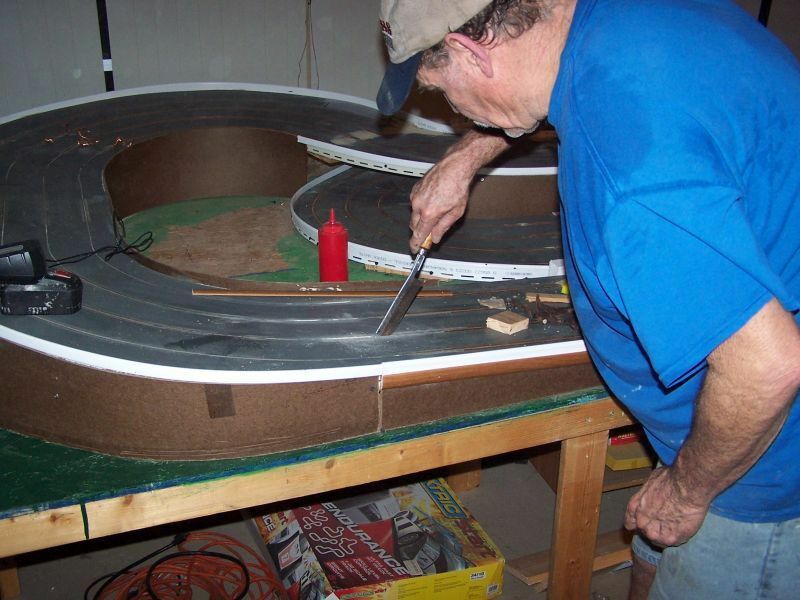 Hopefully you will have construction completed around the same time as the Daytona slot car swap in July. 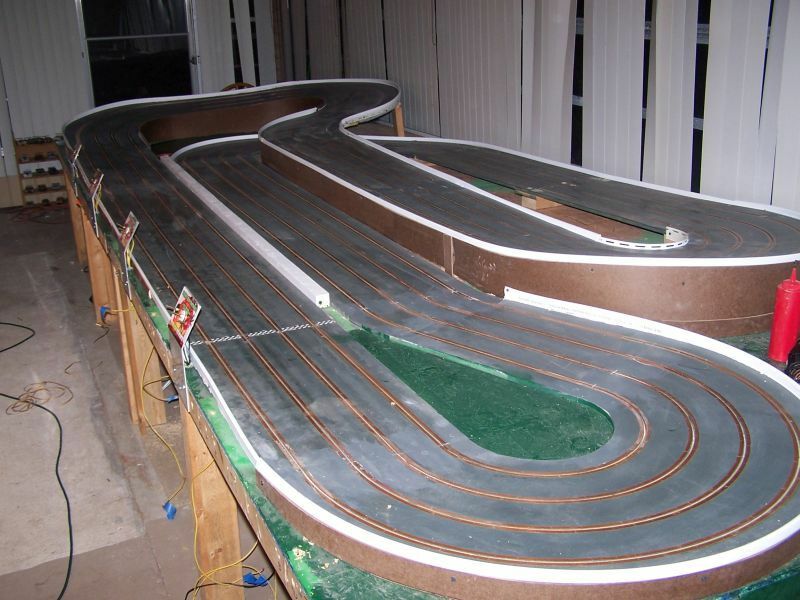 We can come by and help you "test" your new track. 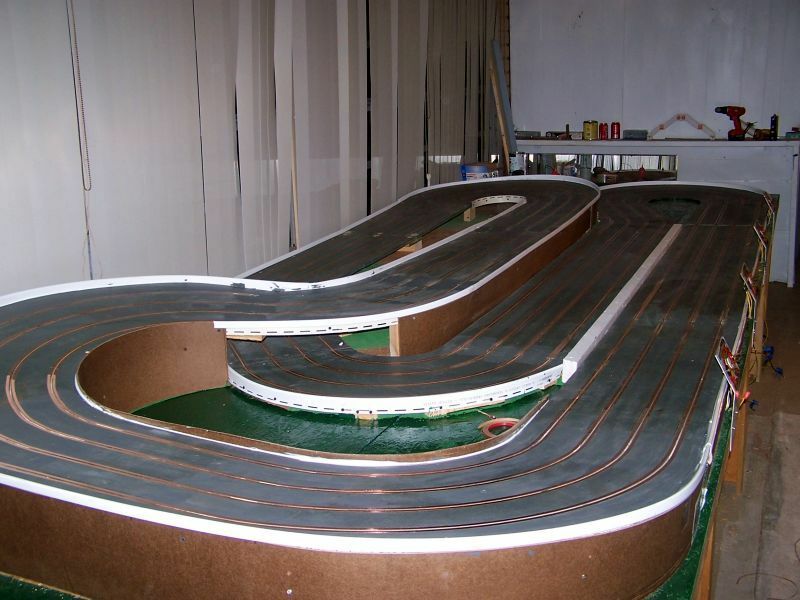 I am sure that you will love having your track at home after all these years driving over to the old place. What better use for your Florida room. 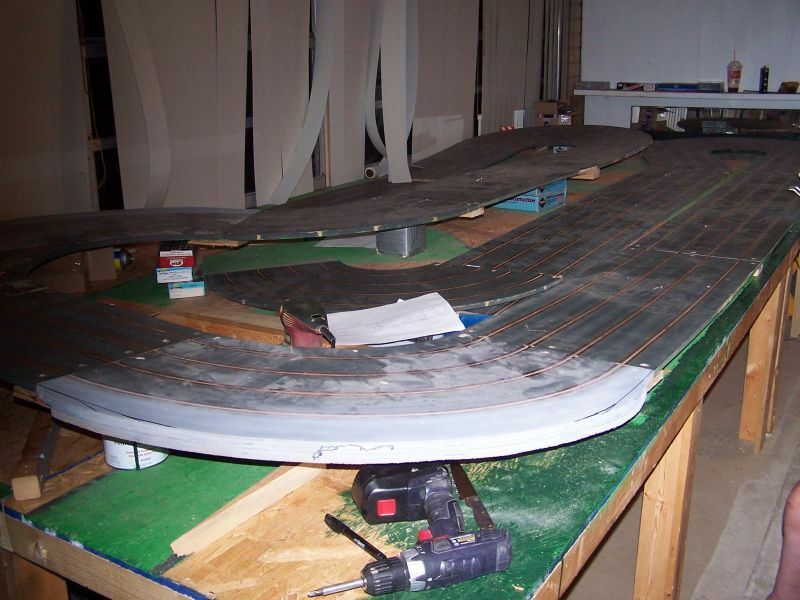 16 x 6.5 is a good size table, you will find it easier to marshal the cars not being as wide. 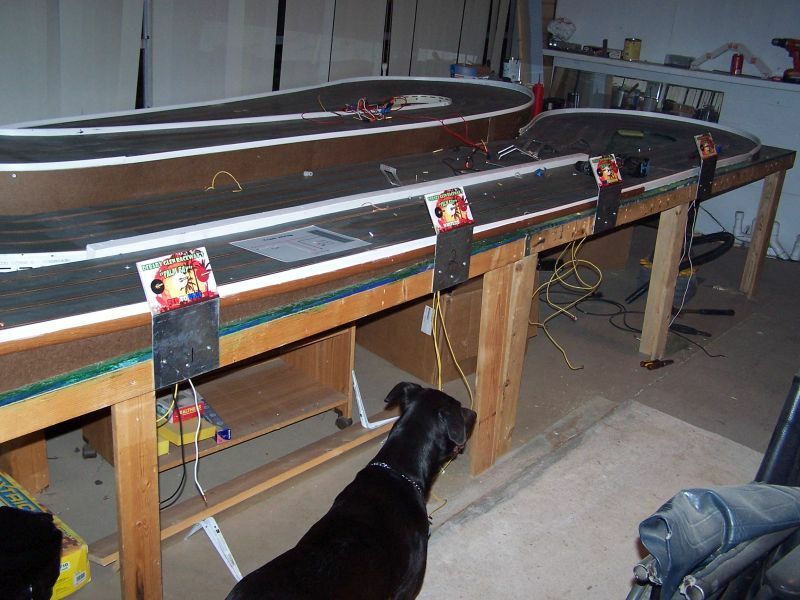 Silver Lane Speedway is on 4 felt covered banguet tables @ 16 x 5 and 62' of climate controlled 2 lane. 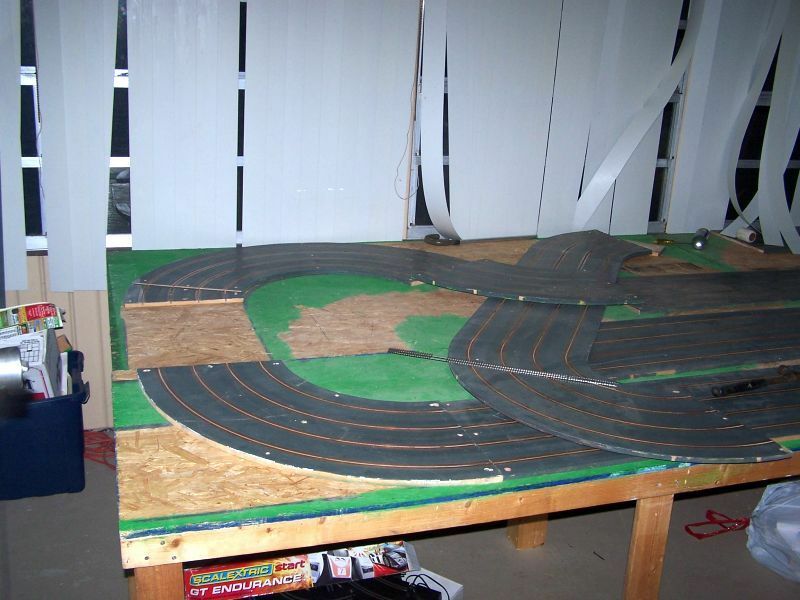 Yeah, now at night when I can't sleep I'll be turning laps on my track instead of sitting at my computer. The tables have been cut to the new size and assembled. 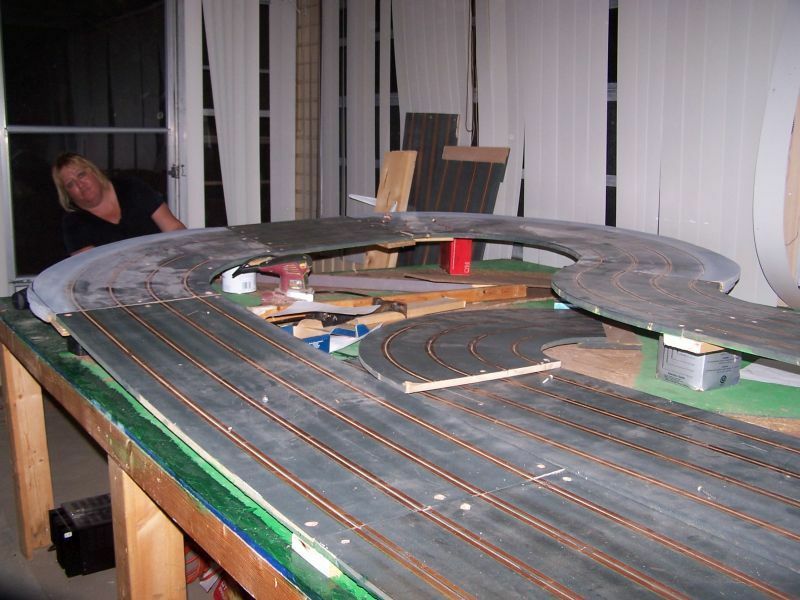 Hopefully this weekend the track sections will be cut to fit the new configuration, Might just be up and running in a couple of weeks. OK, when and where is this swap meet, as I'm in Orlando mid July for I CAST? How about some pics ?? Here are the latest shots. Here are some up to date progress shots. Almost done. Latest progress pics.